Please tell us a bit about yourself: I’m a graphic designer by “day.” I own a web design firm called Formcode Design Group (http://www.formcode.com) with my husband and have been running that for going on 12 years now. Graduating from art college in Detroit (College for Creative Studies) I have always loved graphic design and fashion. I knew I wanted to have my foot somewhere in those two industries, it was just a matter of what and when. The web firm came first, which I enjoy tremendously and fashion came second in the form of children’s t-shirts. Artistically, I have always been drawn to design that is bold and bright with a pop art or mid-century feel. I love clean lines and solid shapes and visuals that are more abstract and not heavily illustrated. I try to make my designs for Little Trendstar® follow this same aesthetic. Bold, clean, strong and just enough pop of color to really stand out. What is the story behind Little Trend Star? I started Little Trendstar® shortly after the birth of my second son. By then, I was so tired of the selection of t-shirts for boys. I wanted to find graphic t-shirt’s that were more style-focused and not “animal, truck or sports” focused. I know those styles have their place, but I wanted my boys to dress differently than that. So this desire is what led me to start designing my own t-shirt’s. 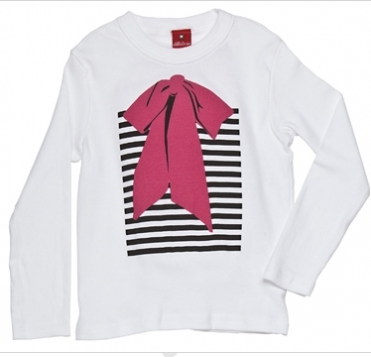 With Little Trendstar®, I am able to design graphic, modern t-shirts that I would love to see kids wear. And since I know from my sons that kids love attention and being in the spotlight, I try to create shirts that I like to call “stage-worthy”. Designs and graphics that are all about getting kids noticed since they are always on “stage”. What does this brand stand for? 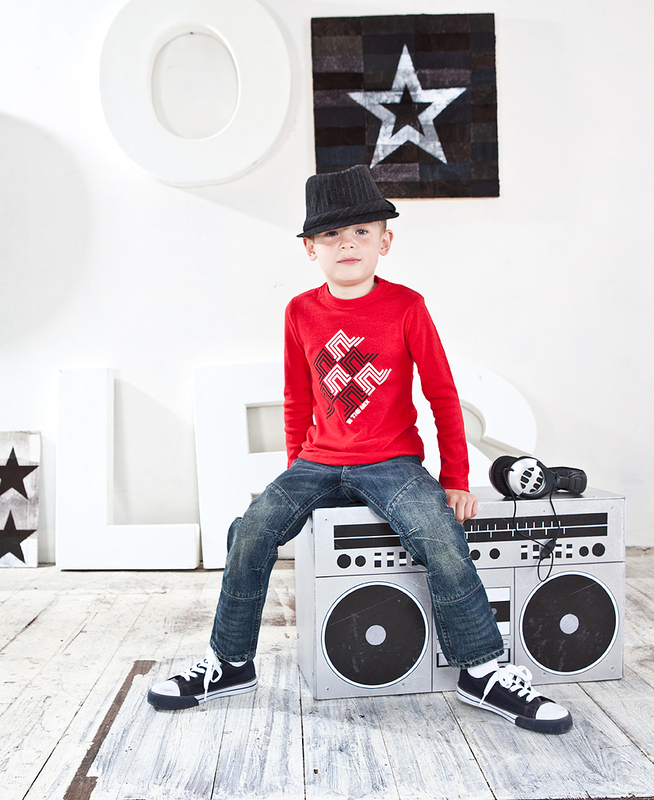 Little Trendstar® stands for trendsetting, “hipster” apparel. 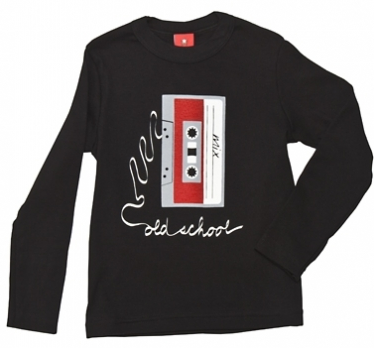 T-shirts that make kids “style stars” and demand a second look. Who is the Little Trend Star customer (who are you designing for?) I like to say I am designing for the mini hipster. 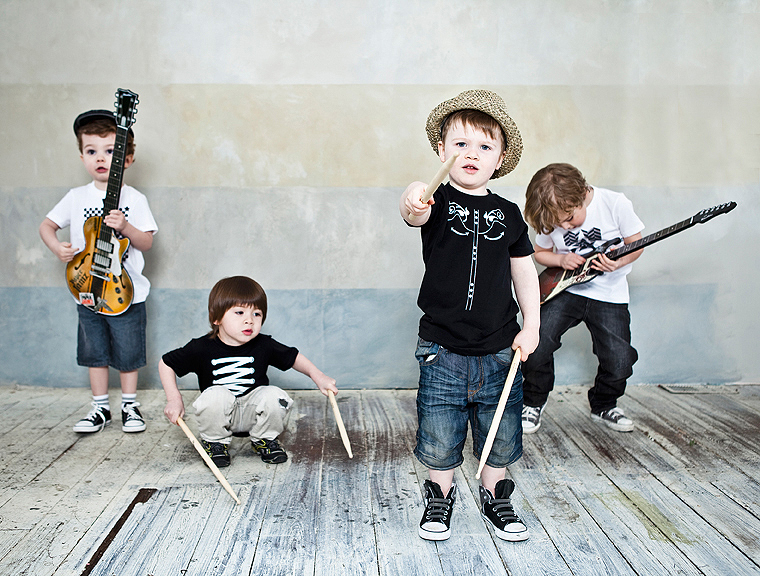 Kids, and parents of these kids, that enjoy a hip and edgier style. They have a bit of rock and roll in them and love making fashion-forward statements with their clothes. They are also not afraid to stand out in the crowd and have fun with their style. I also always try to design a lot of my tees to be generational. I want parents to enjoy the t-shirts as much as the kids and have them saying “I’d like to have that shirt in my size”. What drew you to starting your own children’s line? Like I mentioned, really my two boys were the inspiration. But children’s clothing really is a great market. You have the best demographic for your designs, and kids look great in everything. Their spirit and personalities are so free and fun, that it adds another layer to the designs just by actions of the person wearing them. I can really have fun with the design and be open to funky and creative graphics, cause I know the customer will make it stand out even more. Where do you get your design inspiration? Everywhere really. I love being inspired by retro rock apparel and clothes worn by iconic musicians of the past. Graphic design, street art, vintage shops- these places and things inspire my designs. Just revisiting my youth and objects or styles and patterns that made an impact on me can inspire a design. It’s pretty limitless. 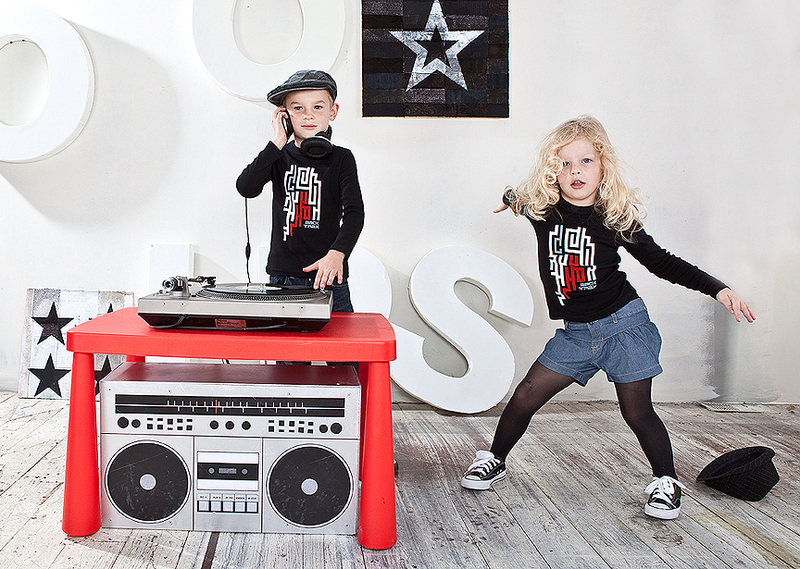 Little Trendstar® t-shirts and onesies are also produced with kids in mind! Each t-shirt and onesie is printed with non-toxic, water-based inks that contain no phthalates or PVC! They are also 100% cotton, Made in the USA and sweatshop free! Winner will be announced February 10, 2012. This entry was posted in giveaways, interviews, kids fashion, source for style, style finds under $25, style finds under $50 and tagged Clothing, Design, Little Trendstar, mini hipster, rock 'n roll tees, Shopping, T-shirt by Little Style Finder. Bookmark the permalink. We are sooo excited about this giveaway. Just like and posted on your wall, and also following on twitter… SO MUCH Little Trendstar LOVE!